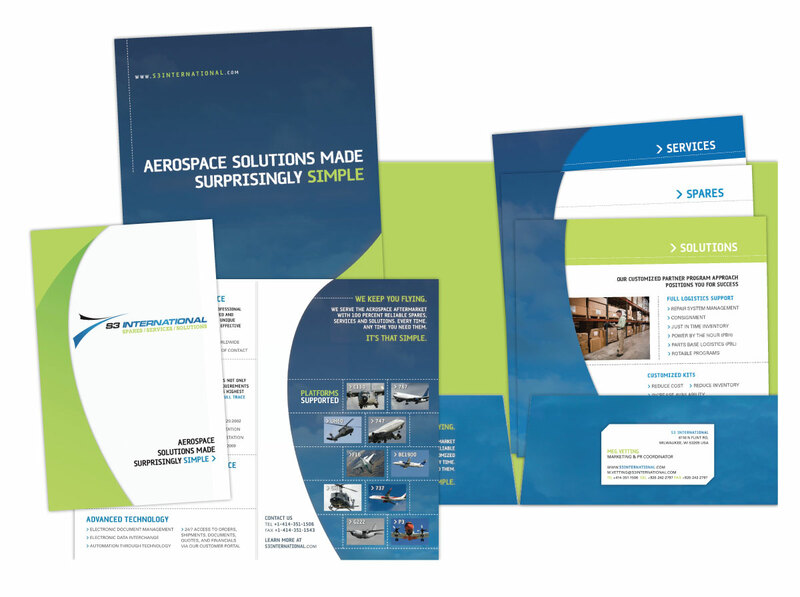 A multi-piece presentation folder with a brochure and staggered sell sheets to fit inside are used to hand out at air shows. The folder has double pockets with a business card slot. 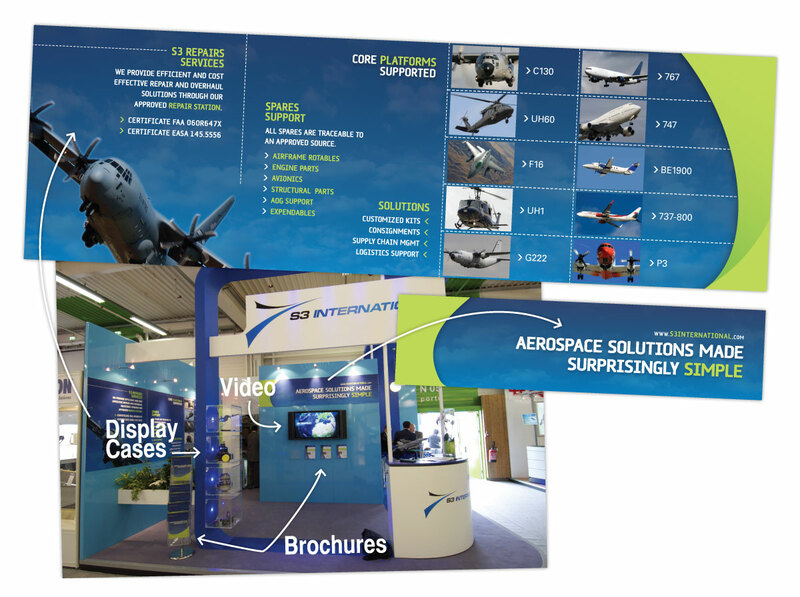 S3 has utilized our expo design skills on numerous occasions including the design of all of the graphics and brochures for this Paris Air Show booth. We're a digital & print, creative & technology agency located in the Historic Thrid Ward of Downtown Milwaukee and we'd love to hear from you. Please get in touch to discuss your next project.